Of all the rash comments that Mitt Romney made the other night the one that most struck me has been almost ignored. "Had [my father] been born of Mexican parents, I'd have a better shot of winning this." "But he was unfortunately born to Americans living in Mexico," Romney joked. "He lived there for a number of years. I mean, I say that jokingly, but it would be helpful to be Latino." There is really no benign interpretation of that. By magically becoming Latino Romney is saying he would get elected. Of course the 47 per cent he had already decided would never vote for him. In other words a lazy slovenly bunch (half of whom happen to be retirees) who would vote for a Mexican/Latino candidate who is probably lazy himself and ready for frequent siestas. (Change the century and he could easily be saying Irish). The stereotype is obvious what is most surprising to me is that Romney really means it. He is clearly very comfortable speaking at the fundraiser, much more so than he is in front of large crowds. We are watching the real Mitt Romney and it is a crashing disappointment. I actually had felt that Romney behind it all was a pretty decent guy, dragged to the right by the primary process and forced to assume a persona that did not reflect his private self. After this speech I am no longer sure of that at all. Conservative columnist Peggy Noonan had it right when she wrote in the Wall Street Journal. Noonan has hit the nail on the head. I think much of Romney’s message about unleashing private enterprise and the unique entrepreneurial spirit in America is right. But he has got it all caught up in a maelstrom of bad right wing ideas about survival of the fittest and Tea Party orthodoxy and some magical thinking about what constitutes the electorate.. 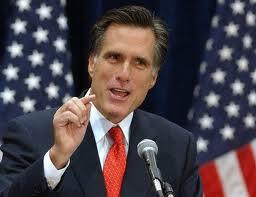 In the end it seems certain the short term loser will be Romney. But the GOP may be the long-term beneficiary. It is not enough to run with a mean-spirited, nasty anti poor people campaign. There is a social compact in this country that means we take care of the weakest too which has made it a beacon to the world. Remember give me your tired, your poor, your huddled masses? Republicans need to get back to that. A pragmatic business outlook, allied with a compassionate conservatism is what might work. Not this “ourselves alone “tactic that Romney has adopted.